Integrating with cidaas, the door controllers, Surveillance Station serves as a centralized security system. With Action Rule and paired door, the occurrence of pre-defined events will trigger corresponding actions or popup windows showing relevant live feeds. 1 . To define doors, click “Add Door” button. 2 . Enter the door name. 3 . Enter the door description. 4 . User can define the Custom Fields. 5 . Click “Save” button, a message window popup “Saved Successfully”. 6 . 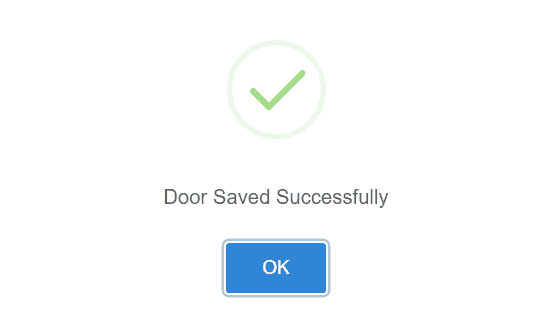 Cancel button redirects to manage doors screen. 2 . Once the appropriate changes are made, click “Save” button. 3 . Cancel button redirects to group screen. 4 . Click “Delete” button, to delete the created door.